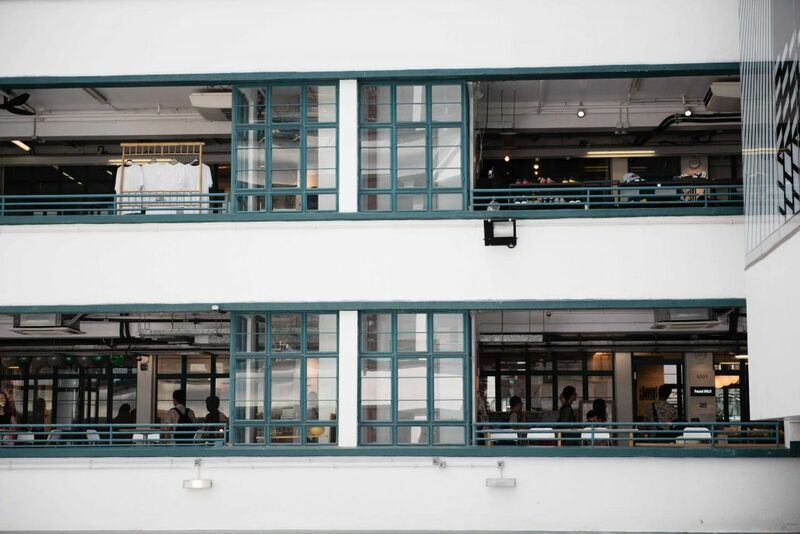 Two years after the former Police Married Quarters building on Hollywood Road was transformed into a slick new design hub that promised to promote Hong Kong’s creative talent, tenants are confused by management decisions, saying there needs to be a clearer vision of what the project is about. Built in 1951, the historical site was one of eight projects under the Conserving Central programme initiated by the Development Bureau in 2009. It aimed to conserve heritage buildings while promoting development. PMQ was awarded to the Musketeers Foundation in 2010 with the support of three design schools. The government provided around HK$420 million for construction, with HK$17 million contributed from the foundation to augment construction costs. PMQ was meant to “nurture emerging create-preneurs from Hong Kong for brand building, added-value creations, delivery of quality products and services, and connect them with the international design and business communities.” The enterprise should be self-sustaining, the Development Bureau’s description said. However, tenants say the vision and purpose for PMQ is unclear. PMQ during an event on a Saturday afternoon. Photo: HKFP/Catherine Lai. Suki Tsui, a designer who opened up a permanent store in PMQ two months ago, said she got mixed messages from management, even during the application process to enter PMQ. Suki Tsui, founder of The Dot, in her PMQ store. Photo: HKFP/Gene Lin. The panel is good for brand selection, but it is unable to help increase the flow of customers, she said. 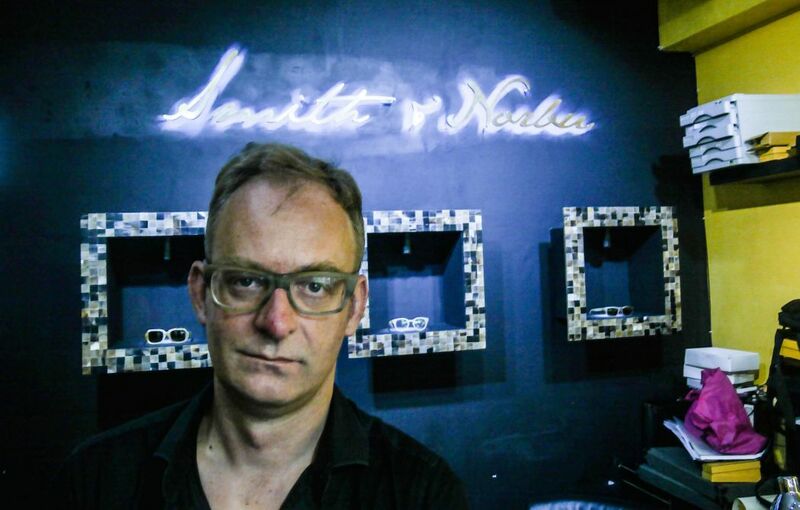 Benoit Ams founded Smith & Norbu, which makes bespoke eyeglasses from buffalo and yak horn. 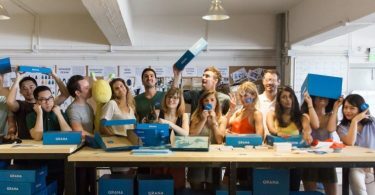 He offers bespoke services from his PMQ store, which he said is a marketing tool that helped to build his brand visibility. “I do think that PMQ is a good idea, PMQ is a great concept. I do think that it’s a great way for… designers to elaborate on their retail concept. It’s a lab, honestly, where you can experiment, where you can try different things,” said Ams. Benoit Ams, found of Smith & Norbu. Photo: HKFP/Gene Lin. 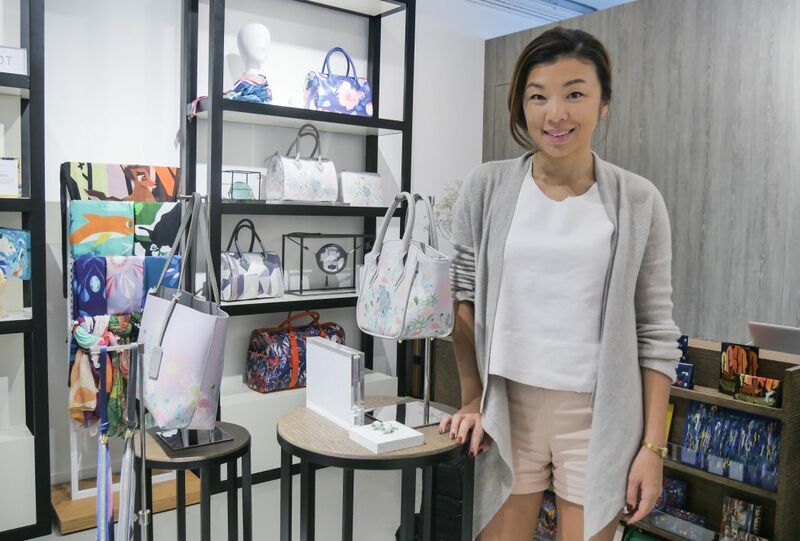 Besides “create-preneurs” like Tsui and Ams, whose rent is subsidised by the government, walking through PMQ, one can find bigger brands like Kapok, which has nine stores across Hong Kong, Vivienne Tam, a NY-based designer from Hong Kong with 8 stores across the city, as well as spin-offs of big brands Bread n Butter and MUJI. 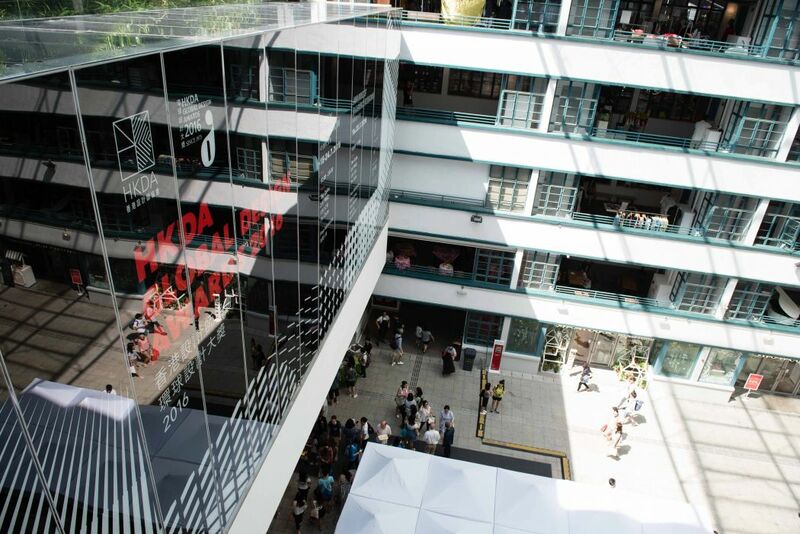 PMQ told HKFP that the space is divided up with 55 per cent used for studio units, 25 per cent for commercial use and 20 per cent as public space. 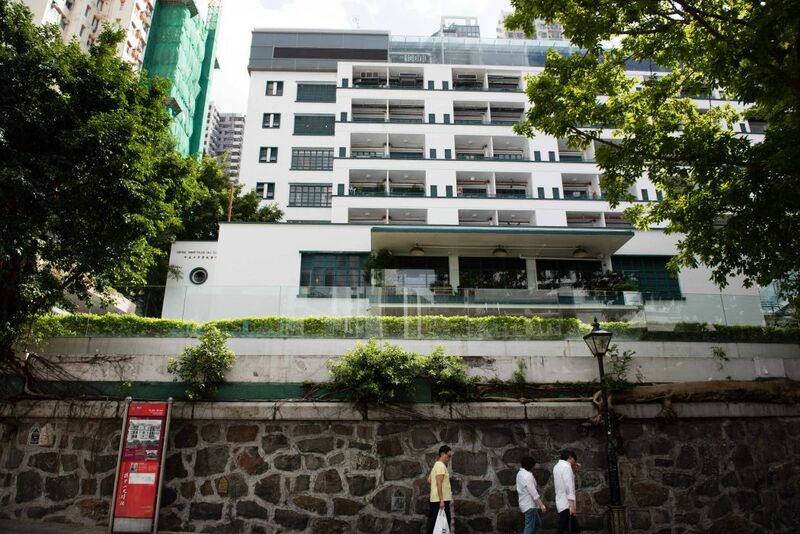 “Rent from commercial units is the main source of revenue supporting PMQ’s daily operation, management and maintenance and other expenses, including the rental subsidies granted to the studio units operated by local young designers,” a spokesperson said in an email. Showcase by Bread n Butter at PMQ. Photo: HKFP/Catherine Lai. Though Tsui says the presence of these bigger brands does not pose a threat to her in terms of business competition, she questions why they get so much prime floor space. 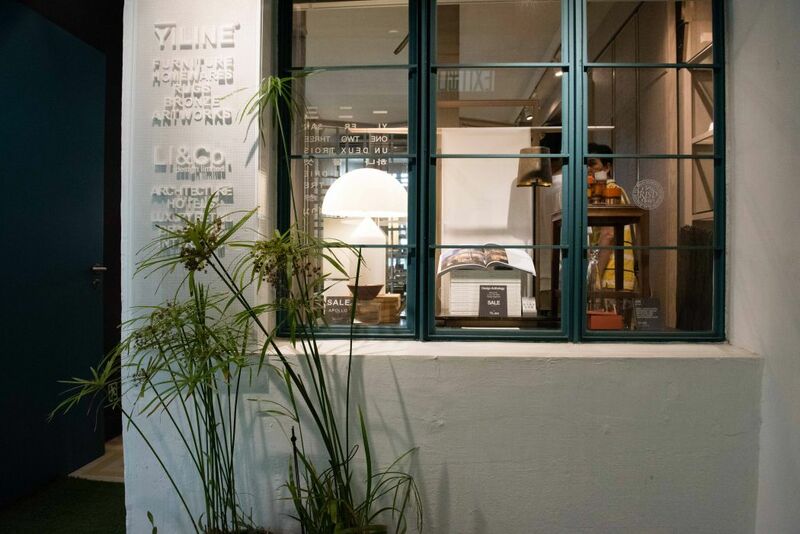 Vivienne Tam and Bread n Butter both have large stores on the ground level of PMQ, opening right into the courtyard. Kapok occupies three units on the ground floor and Found MUJI is on the first floor. 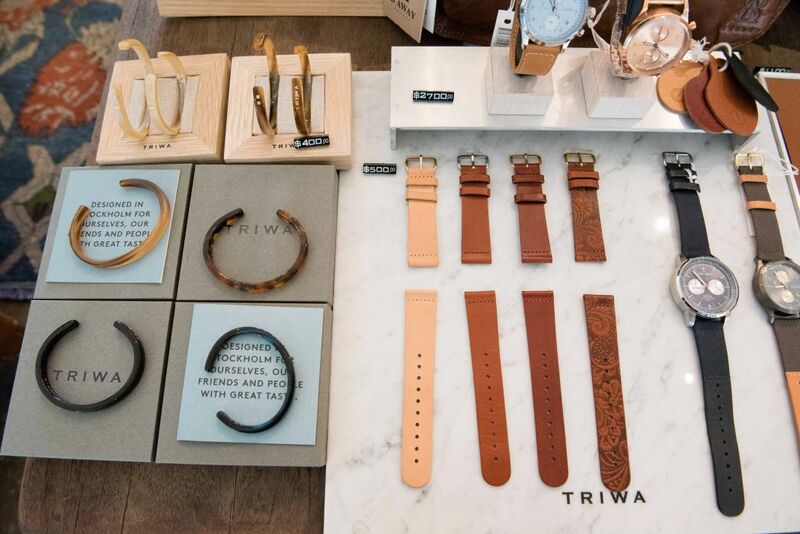 More space should be reserved for smaller brands with potential, Tsui said. Tsui’s store The Dot is a studio on the third floor. She said it is a quiet location because foot traffic tends to be concentrated on the first two floors or on the fourth floor, where there is a foot bridge connecting the two sides of the complex. Swedish products in Stockholm, a store at PMQ. Photo: HKFP/Catherine Lai. Some stores that occupy studios in PMQ are actually international brands. For example, Maison Bremond 1830 is a French brand selling high-end olive oils looking to access the mainland market. 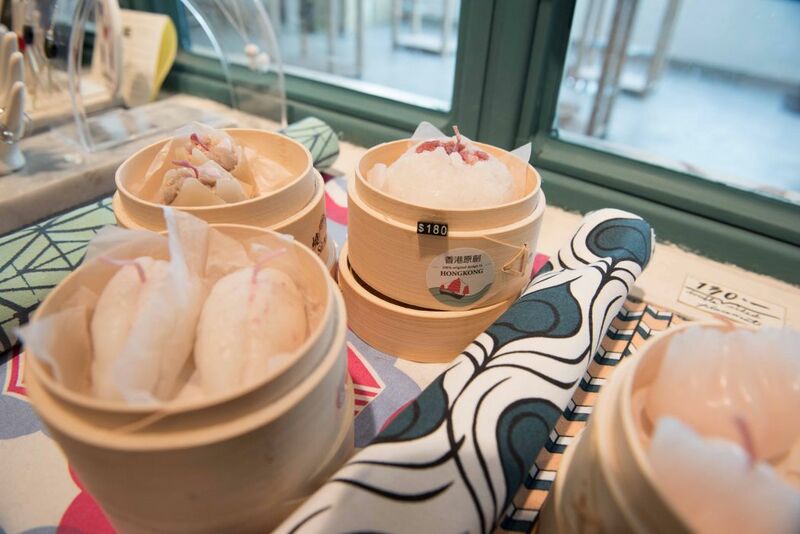 ABC cooking studio is a Japanese culinary workshop with 134 stores across Japan and two in Hong Kong. It occupies six units on the first floor of PMQ. 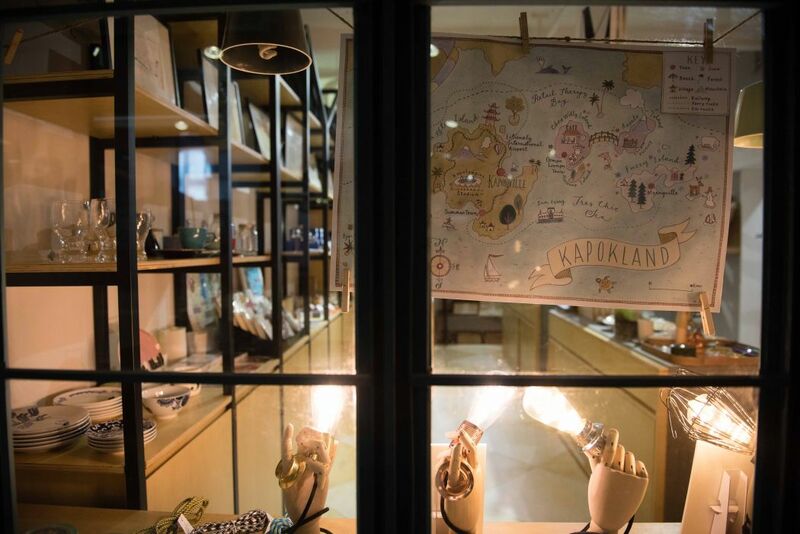 Stockholm is a store on the third floor specialising in gifts from Sweden. 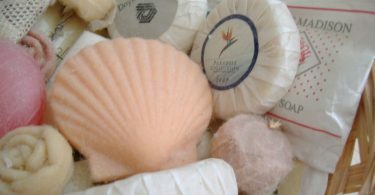 Candles shaped like dim sum at a PMQ store. Photo: HKFP/Catherine Lai. 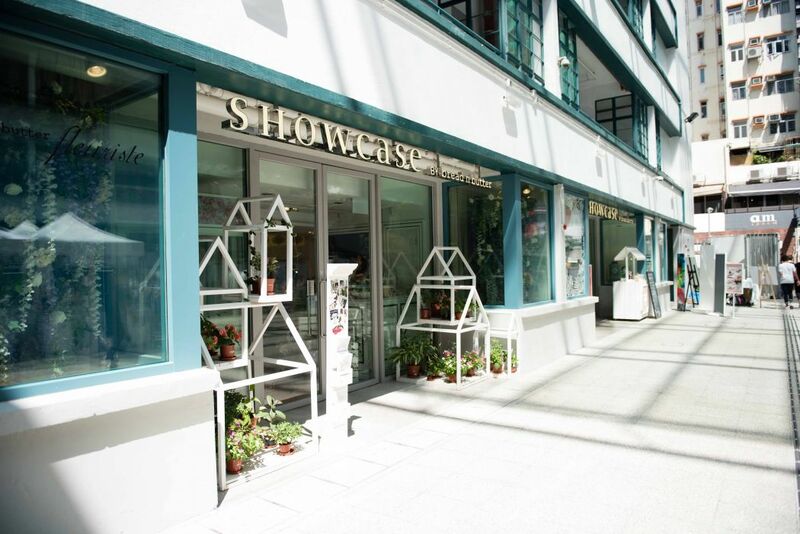 A home furnishing store in PMQ. Photo: HKFP/Catherine Lai. Whether it’s design, fashion, creativity, do-it-yourself, craftsmanship, or painting events for kids, Ams said PMQ needs to pick a direction and be consistent with its choice of tenants. 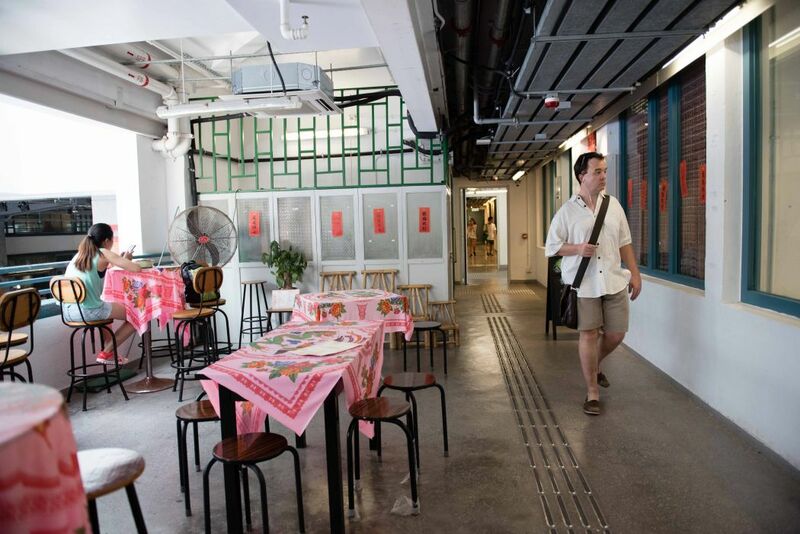 With its mix of studios, art galleries, retail shops, pop-up shops, restaurants, and design firms, PMQ is a hodgepodge of different things, and Ams and Tsui have their own distinct visions of what the complex should be. A display in PMQ. Photo: HKFP/Catherine Lai. “If [PMQ] is to be sustained, it needs to be like a shopping mall, but it shouldn’t have chain stores. It should have brands that you can’t find elsewhere, and shouldn’t have stores that have more than five locations here, or it loses its meaning. 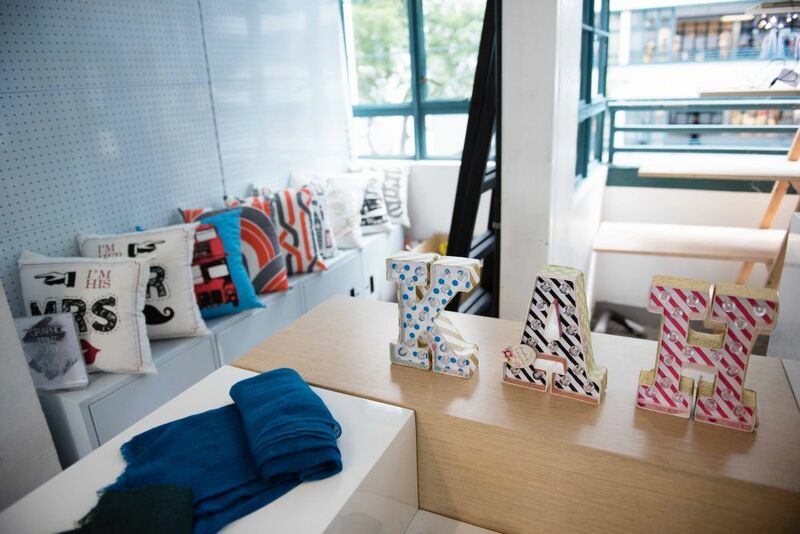 Because it’s supposed to be an arts place that has indie brands who can’t afford higher rents elsewhere,” said Tsui. However, PMQ’s marketing angle is not well suited to its operation, she said. A display window in PMQ. Photo: HKFP/Catherine Lai. But Ams thinks the cheaper rent for designers shouldn’t determine PMQ’s identity. “The fact that the rent is eventually cheaper than outside cannot be the driver, should not be the driver. The driver should be the quality proposition of the designer,” said Ams. Tsui said traffic at PMQ has decreased since she ran a pop-up store there in 2015. On Tuesday, there were only a few visitors on each floor at 1pm, hours after the building opened at 7am. Ams said since most of his sales did not come from his physical store, it was hard to tell if business has slowed. However, he said, management used to host more events to bring in visitors in the early days. A visitor walks through PMQ on a Saturday afternoon. Photo: Catherine Lai. “I think that the long term key success of PMQ will depend on PMQ’s ability to generate recurrent traffic. If you come every time you have to get gifts for your friends for your family… then it’ll be successful. If people come once when there’s an event then don’t come later, that’s not going to work,” said Ams. 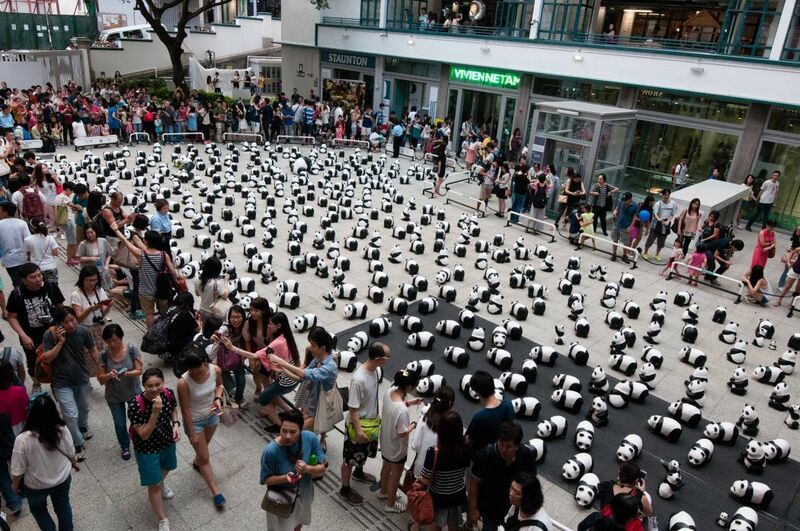 The panda exhibit at PMQ in 2014. File photo: HKFP/Catherine Lai. 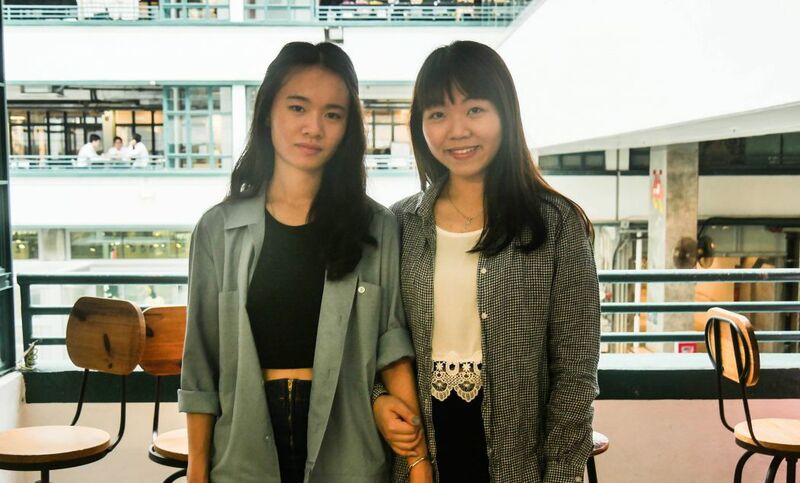 Two design students, Katie Cheng and Shirley Cheng, said they were inspired by the designs they saw at PMQ. Shirley brought her friend to visit PMQ because they were planning to be in the area. She said she hadn’t visited PMQ since it first opened in 2014, during the panda event. “The prices in stores are a bit high, but I think it’s acceptable if something is handmade and not mass-produced,” said Katie Cheng. Shirley Cheng and Katie Cheng, visitors at PMQ. Photo: HKFP/Gene Lin. In response to reports that family members of Victor Lo, a tycoon on the board of PMQ, own high-end restaurants in the building, Tsui said that the upscale restaurants don’t bring her business any benefits. Isono, a restaurant on the sixth floor run by a company in which Lo’s son is reportedly a stakeholder, serves a platter of cured meat from acorn-fed pigs for HK$240. 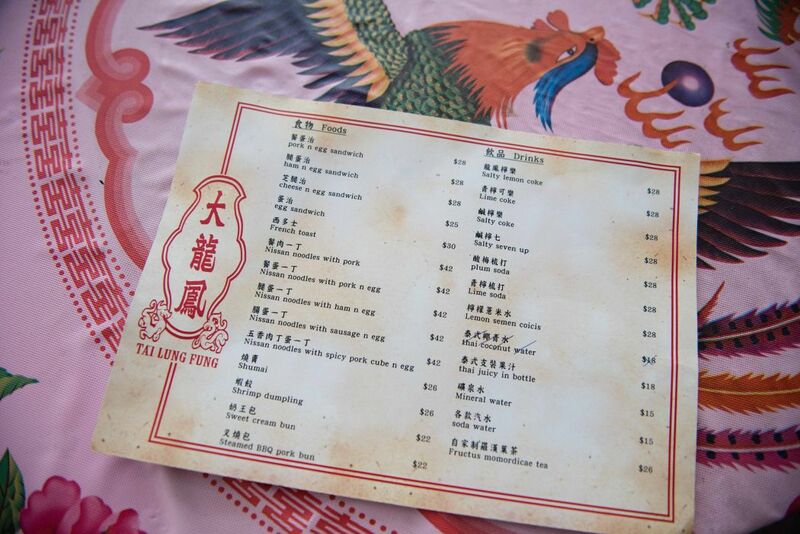 A menu at a Hong Kong-themed nostalgic eatery at PMQ features less-than-nostalgic pricing. Photo: HKFP/Catherine Lai. They don’t bring customers to her store because people eating at the restaurants are usually not there to shop and usually go straight up to the sixth floor in the elevators, she said. Ams said that he was not bothered by the restaurants. “If they do have a strong retail concept that is able to generate traffic, then welcome,” he said. Another designer who declined to comment on the record told HKFP that he thinks the controversy isn’t good for Hong Kong. Hong Kong doesn’t need any more people to bring it down – enough people want to see it fail, he said.